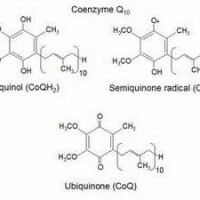 Conenzyme Q10 or CoQ10 is part of a family called the ubiquinones and is a powerful antioxidant! Humans can synthesize CoQ10 so it’s considered nonessential, but nonetheless, deficiencies can arise. One of the biggest risk factors for deficiency is treatment with a cholesterol lowering statin medication, like Lipitor. It’s established that patients on statin medications have reduced CoQ10 levels. Some studies have shown statins can drop CoQ10 levels by as much as 40 percent.